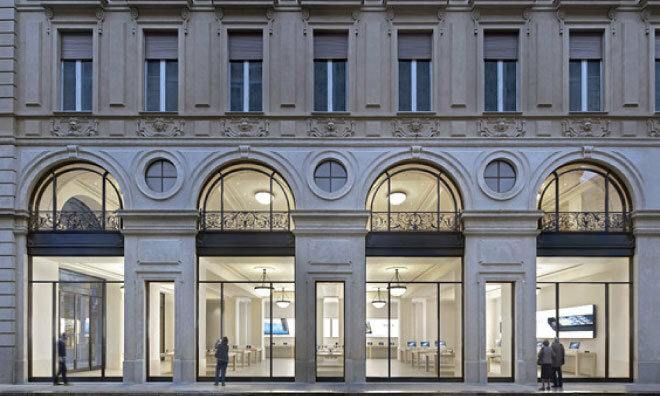 Apple Store Via Roma in Torino, Italy. Citing a pair of sources with knowledge of the inquiry, Reuters on Monday reported prosecutors completed their probe into Apple's tax practices and, under Italian law, may soon seek a trial over the matter. At the investigation's heart are Apple accounting techniques that from 2008 to 2013 booked income to a subsidiary in Ireland rather than Italy. Specifically, two managers from Apple's Italian operations and one employee from Apple's Irish subsidiary Apple Sales International were under scrutiny. If Apple had booked income with Italian tax authorities, its taxes would have been much higher. Overall, the company allegedly saved some $964 million using its Irish holding company. For its part, Apple told the publication it is one of the largest tax payers in the world and has paid all required dues in full. The statement is seemingly taken verbatim from responses to media regarding other tax-related allegations, including an investigation from the European Union's antitrust commission. "These new allegations against our employees are completely without merit and we're confident this process will reach the same conclusion," Apple said of the Italian probe's claims. In 2013, government authorities seized equipment from Apple's regional headquarters in Milan as part of the investigation. Back home, CEO Tim Cook in 2013 testified in front of a U.S. Senate subcommittee, saying "[Apple pays] of the taxes we owe —every single dollar. We not only comply with the laws, but we comply with the spirit of the laws." Since the success of iPhone, Apple has faced increasingly rigorous standards from Italy's governing bodies, especially the Antitrust and Competition Authority. In 2011, Italy's antitrust authority fined the company $1.2 million for unfair commercial practices relating to AppleCare warranties. Following a relabeling of product packaging to fit Italy's laws, the body fined Apple another $264,000 in 2012 over similar transgressions. In addition, the Antitrust and Competition Authority conducted an investigation into "freemium" app sales last year.